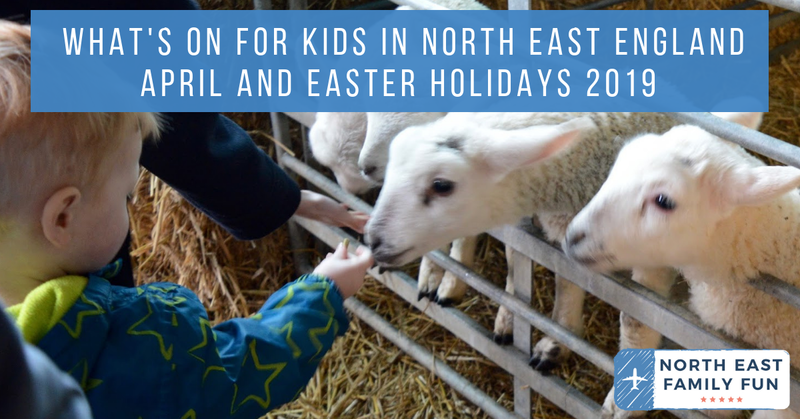 Welcome to my bumper guide to what's on across North East England for kids this April and over the Easter Holidays. As always, please double check details before heading out as events can change and this guide is written well in advance. Disclosure: I have worked with many of the attractions mentioned in this post in the past but have not been paid/received any incentive to include them in this post. We're busy bees this April and have lots of plans ourselves including a trip to the Peak District and Alton Towers over Easter, Battle of the Burgers at Exhibition Park and Peter Pan Easter Panto at Tyne Theatre and Opera House. We also visit Whitehouse Farm every Easter and can't wait to see their new developments this year - the plans look fantastic. I'll definitely be making use of our (many) annual passes and visiting Alnwick Garden's dinosaur event, Woodhorn for their free crafts and a National Trust Egg Hunt too. Oh and after receiving this year's English Heritage Guide through the post I have a few castles I want to tick off my list if we have time too. For more ideas for Days Out across North East England, why not join our North East Days Out Facebook Group? Join 3000 local parents and carers who share their recommendations for days out they've enjoyed. It's a lush little community. Click here to join. Phew that's quite a list! Don't forget to join our North East Days Out Facebook group and share any days out you've enjoyed.